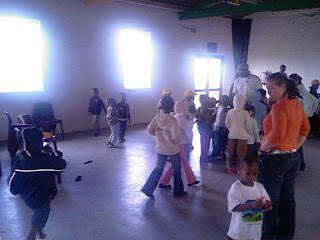 B just sent these photos taken at the kid’s program, Reach for a Dream which he attended a few weekends ago. 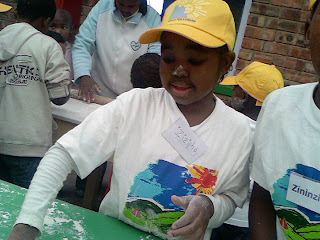 Chef taught the underprivileged kids how to make bread dough which they turned into rolls for their hot dogs. 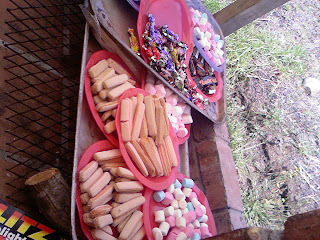 For kids who eat pap (corn meal) every day of their lives big bowls of sweets and delicious hot dogs really are a dream come true - definitely a blog worthy event. Mum and I did some voluntary work at the local council nursery. In return they gave us a few Liquid Amber trees. We planted them in our new Guests Car Park to give shade – though that will be about 10 years away! One of the latest projects at Bunnyconnellen has been renovating one of the property’s sheds into a Cellar Door. Here we are testing the new colour - red is good feng shui - and sanding the doors. The scary handyman - Peter. I used to wear white gloves at Sotheby's too. But I think that was to protect the paintings rather than my newly polished nails! I know I promised that this year, for the very first time in our 6 year relationship, I would be with you on your birthday. However fate has intervened and I’m forced again to wish you the happiest of birthdays from a distance. As I’ve already told you, your birthday present is under your bed – I knew you’d never look there! So enjoy the surprise when you get home this evening. 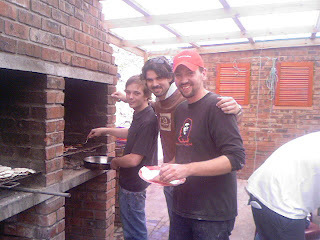 Have a wonderful time tonight at dinner and tomorrow with Heather, Craig and Chef, I’ll be thinking of you.